In his book "An Introduction to Football in Spain", Paulino Mouriño Rañó informs that whilst Recreativo Huelva may be the grandfather of Spanish football, it is the Galician town of Vilagarcia de Arousa that witnessed the first match on Spanish soil. According to an edition of the Eco Republicano de Santiago dated 26 June 1873, a ship on its way to Huelva to deliver machinery to the Rio Tinto Mining Company, stopped off at the northern port. Its crew then proceeded to play a match in the town square, no doubt to the utter bemusement of the locals. 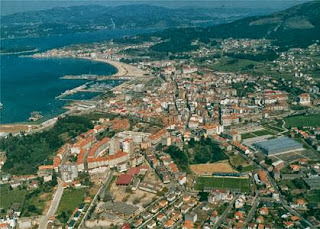 If this was Spain's first exposure to the game, it did not create a lasting impression, for football in this scenic port did not establish itself until after the Civil War. 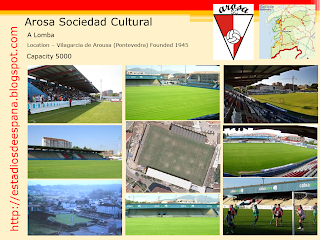 Villagacia de Arousa - The birthplace of football in Spain? With no enclosed ground or pitch meeting minimum standards, football in the town had been a piecemeal affair. Finally on 19 December 1945, Arosa Sociedad Cultural was founded. A field to the south of town was gifted by the local municipality and A Lomba, as it was called, staged its first match on 26 January 1946. If football had been a slow to burner in the town, Arosa was about to make up for lost time. 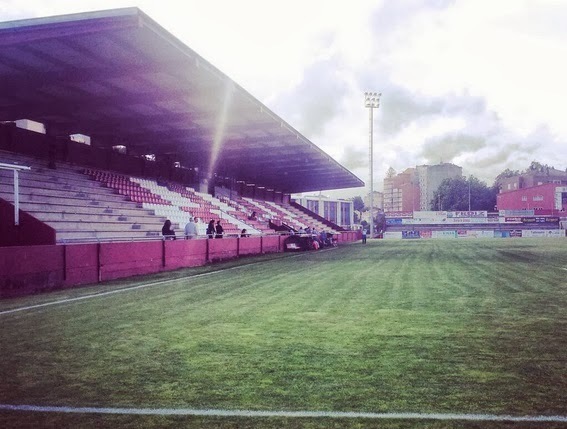 Promotion to the Tercera was achieved in its second full season, and within another two years, the club found itself playing in La Segunda. Their debut on the national stage was however a brief one. Lasting just one season, Arosa finished bottom of the league, 7 points from safety. Whilst at home they recorded a respectable seven victories, it was on their travels where Arosa struggled. 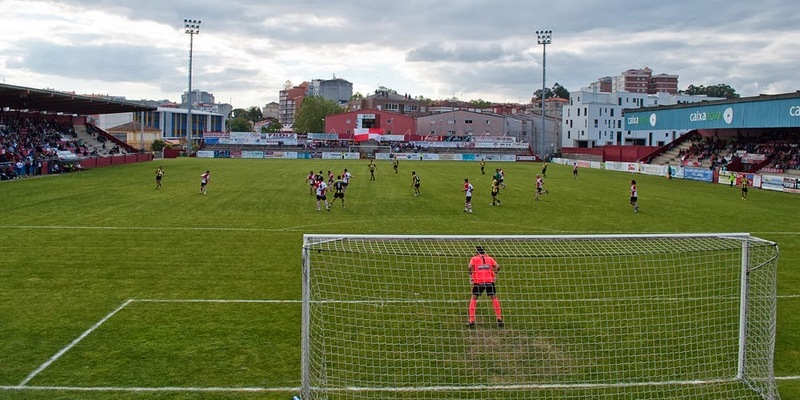 14 of the 15 away fixtures ended in defeat, with their only point on the road earned at Baracaldo Altos Hornos. Arosa returned to the Tercera, where they would stay, apart from a season in the regional league in 1955-56, for the next two decades. It was during their longest stay in the Regional league that A Lomba took on its current format. Following the near collapse of the old grandstand in April 1970, the club took on the task of building a new full-length cantilevered cover over the southern side of the stadium. This was completed 10 months later and opened on 21 February 1971. The development of the northern side followed shortly afterwards. This was a slightly shorter stand, again with a cantilevered cover, but with seating and changing rooms. The front of the stand included a deep fascia to shield spectators from the sun. Arosa returned to the Tercera in 1975 and in 1983 earned promotion to Segunda B. 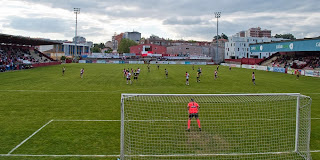 The club spent two three-season spells at this level up to 1990, but with the exception of the 1993-94 season, has not returned. 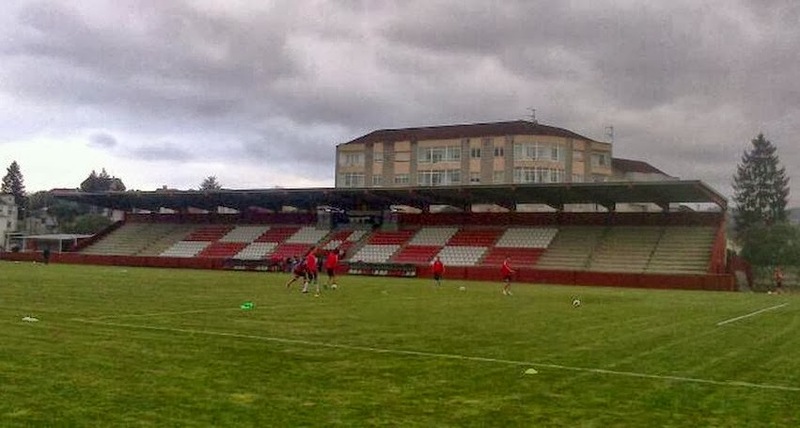 After a four season spell back in the Regional Preferente, Arosa returned to the Tercera in June 2013 and made an impressive start to the 2013-14 campaign, topping the table after 7 matches. Despite its age, A Lomba still looks rather prim. It is a simple design with two covered sides, both re-roofed, and open terraces at either end. The South side is now predominantly seated, with blocks of red & white seats replicating Arosa's distinctive quartered shirts. With a capacity of 5,000 spread over its four sides, A Lomba's traditional estadio Inglés design serves as a fitting reminder of the English mariners, who played the first game of football on Spanish soil 140 years ago.